CeCi brings you the best out of fashion! 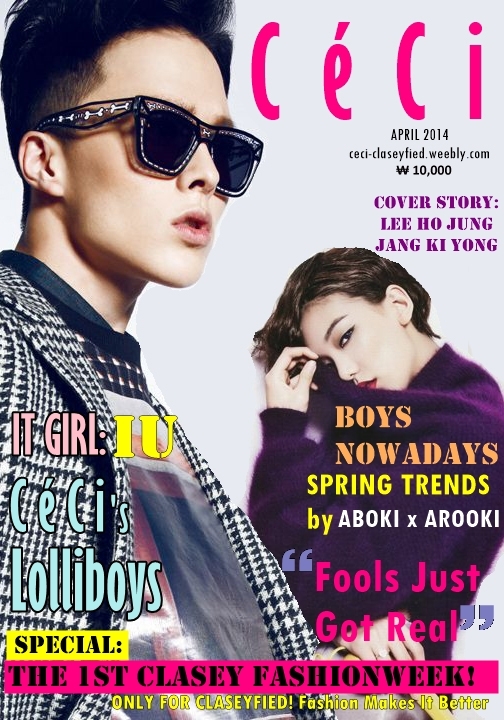 What's hot in CeCi April issue? Who wore it better? click here! Ceci's lolliboys and ceci's it girl! SNSD'S Hyoyeon AND JAY KIM? Lee Hojung﻿ on the run! 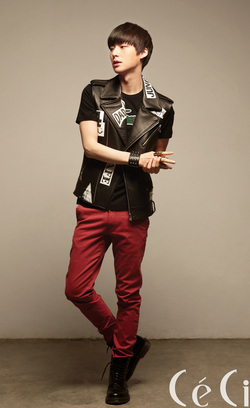 Jang Kiyong is a model under K-Plus, a well-known model agency from South Korea. His existence in modelling world has been admitted and he even became the model for our nation's little sister's, IU, music video, Red Shoes. We will give you a peek about our interview with the gorgeous male model! Another young model has enlivened the modeling world and the name is Lee Hojung. Her gorgeous feature what makes her scouted by Esteem Models. CeCi team is now bringing you the most fun interview with the little angel.